In the last three years, the amount of hockey camps for teenagers in Ireland has increased exponentially. Summer after summer, the cream of European hockey coaching is making it to Dublin to give the future of our sport the very best advice. But back in the barren mid 90s there was but one major camp, held in conjunction with the 1995 men’s European Championships in Belfield. Twelve years on, the value of the inaugural European excellence camp held in Dublin back in 1995 was seen in spades last week in Manchester. The Irish participants who took part in the first Sportways EHF camp twelve years ago are some of the most celebrated of recent international history; ladies captain Linda Caulfield and Ciara O’Brien who have amassed 280 caps between them as well as the men’s all-time top goal-scorer Stephen Butler while Graham Shaw assisted the camp coaches. What may be less known is the success that some of the international campers have gone on to achieve in hockey circles. Among the visitors were three of the current Belgium bronze winning side in Manchester: Philippe Goldberg, Gilles Petre and goalkeeper Cedric Degreve, Italian ladies captain, Stella Girotti and the first reserve for the Netherlands, naturalised Scotsman, Laurence Doherty. And while the players obviously benefited from the experience, a number of the coaches who cut their teeth at the camp went on to achieve international honours. Gino Schilders coached the Czech team in Manchester while Thomas Tichelman, who was one of the main organisers in Sportways back in ’95, is now the Dutch trainer. Current Italian manager Antonino Corsaro was also instrumental in promoting the Irish camp to Italian hockey players. 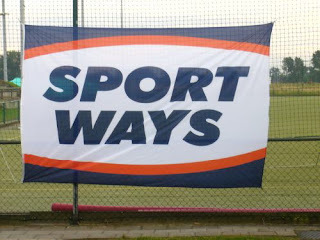 And the next generation of hockey stars is now being aided by the revamped Sportways camps that have been held in Three Rock since 2005. Joining up with local entrepreneur, Andrew Kenny (a member of Monkstown) who had successfully run camps in UCD, the Dutch company set about introducing their own brand of residential coaching camps in the Dublin mountains. The first camp saw international stars like Bram Lomans, Ronan Gormley and Phelie Maguire coaching the kids. Single day clinics were also introduced and have now spread to Cork and Belfast. 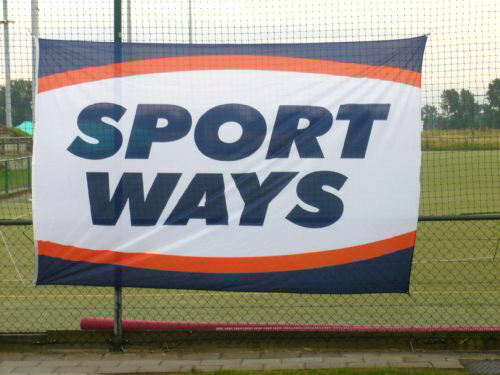 Of the second generation of Sportways participants, YMCA’s David Robinson and Ross Murray have both gone on to represent the Irish development side, two years after attending the camps. Perhaps in another ten years, they can be central to an Irish European championships success.